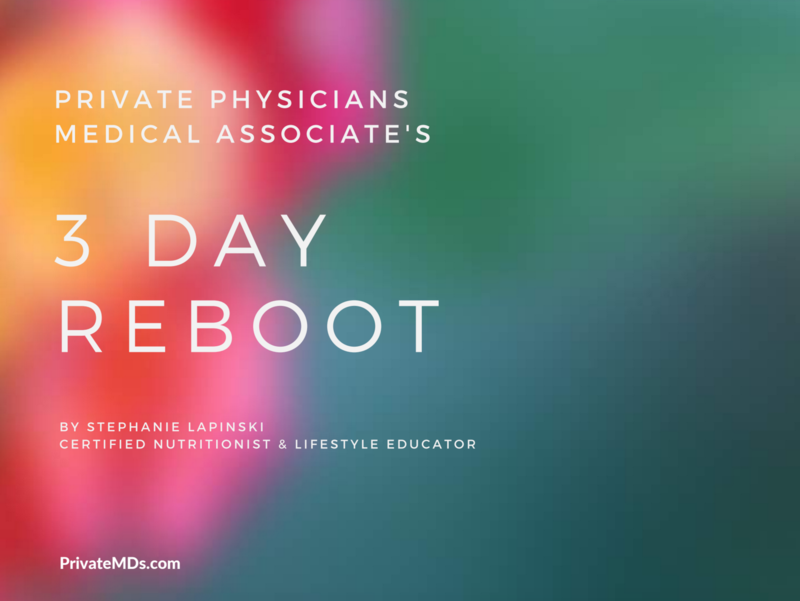 Kickstart your health with our 3 Day Reboot! If you are looking for an effective program to put you on the right eating track, this is perfect! Let’s conquer those comfort food cravings. Click on the link below to download our 3 Day Reboot meal plan. If you are wanting to live a healthier lifestyle in 2016 and change make your health #1, we recommend scheduling an appointment with our Certified Nutritionist and Lifestyle Educator Stephanie Lapinski!